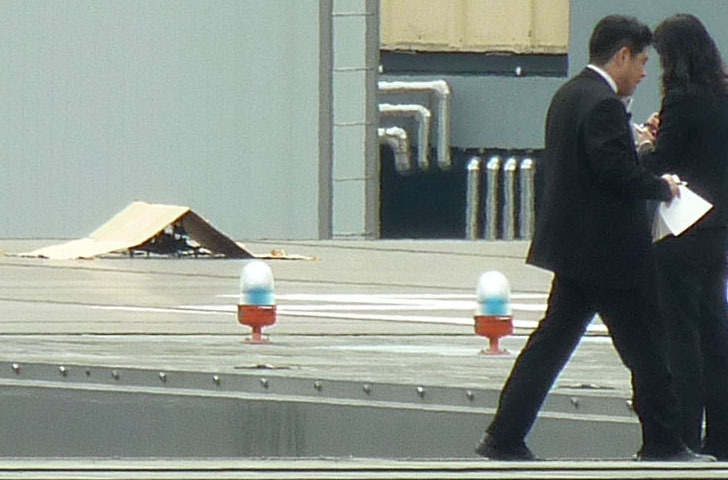 The Tokyo District Court handed down a suspended sentence Tuesday to the man who landed a drone on the rooftop of the Prime Minister’s Office last April. Yasuo Yamamoto, 41, was sentenced to two years in prison, suspended for four years. Presiding Judge Mihoko Tanabe also ordered the drone confiscated. 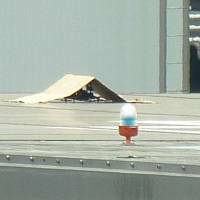 According to the complaint, Yamamoto, a resident of Obama, Fukui Prefecture, flew the drone out of a parking lot near the Prime Minister’s Office in Chiyoda Ward on April 9 and intentionally landed it on the roof of the government building. The drone, equipped with flares and a container filled with radioactive soil and affixed with a radiation sticker, was discovered by officials nearly two weeks later on April 22. Although his action did not endanger anyone, his intention to interrupt official duties at the office was clear, Tanabe said in handing down the sentence. Yamamoto had pleaded not guilty. His lawyers said he intended to challenge the Abe administration’s policy on nuclear energy, and that as a form of protest the move did not break any laws. Prosecutors had demanded a three-year prison term for Yamamoto as well as the confiscation of his drone. They said his actions were premeditated and clearly intended to interfere with official duties. An expressionless Yamamoto, who appeared at the court in a gray sweatshirt and sweatpants, sat with his head down as the sentence was read out. The incident ignited a heated discussion about the need for regulations for drones. In September, the government revised the Aviation Law to set the first restrictions on how to operate drones. The law, which has been in effect since December, bans drones from areas near airports and above densely populated areas, including all 23 wards in central Tokyo, unless granted government permission. Violators can face a fine of up to ¥500,000.